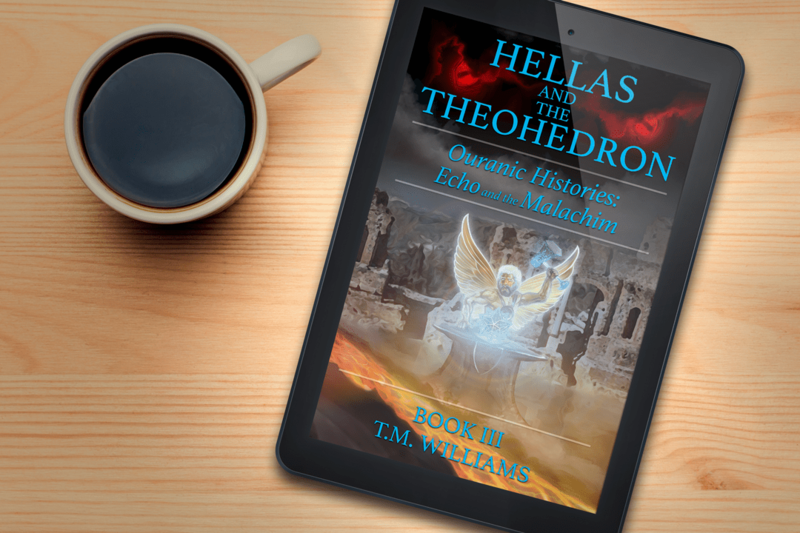 In “Hellas and the Theohedron,” Penelope is the leader of a band of Amazonian warrior women. After a sailing mishap, she and her warriors are stranded on mainland Hellas. In an effort to lead her sisters back to their homeland at the far end of the Great Sea, Penelope must work her way through the lands of Hellas, no easy task when it is littered with unimaginable beasts, monsters, Hellenic soldiers and mercenaries, the undead, and much more. She is a proven leader, able to assess situations and solve problems…and fight her way out of a bind when needed. With her ability to recognize situations, she is hardly given to fear. As a fierce warrior, she doesn’t fear death. The only thing Penelope wants is to get her sisters back home. However, their trip leads them into a chance encounter with some Itonian mercenaries that proceeds to derail her plans. Instead of finding the first ship back to Amazonia, Penelope and her warriors come to realize a threat to humanity that includes witches, Harpies, giants, dark Hellenic gods, and much more. Getting home is going to be harder than she anticipated. This puts her and her warriors in the undesirable place of Hellas for an extended period of time for the sake of the entire Great Sea region, including Amazonia. Her dedication to her warriors will spur her on to the unthinkable. But the women soon begin to show signs of dis-unity. Some preferring to leave Hellas to its fate and return home regardless. While others side with their leader’s inclinations to duty and humanity. I hope you enjoyed this little insight from Penelope. In a world of gods and monsters, it’s not easy being an Amazonian commander. To see more of Penelope in action, join her in “Hellas and the Theohedron” on a mission fill with magic, monsters, angels, demons, and more.